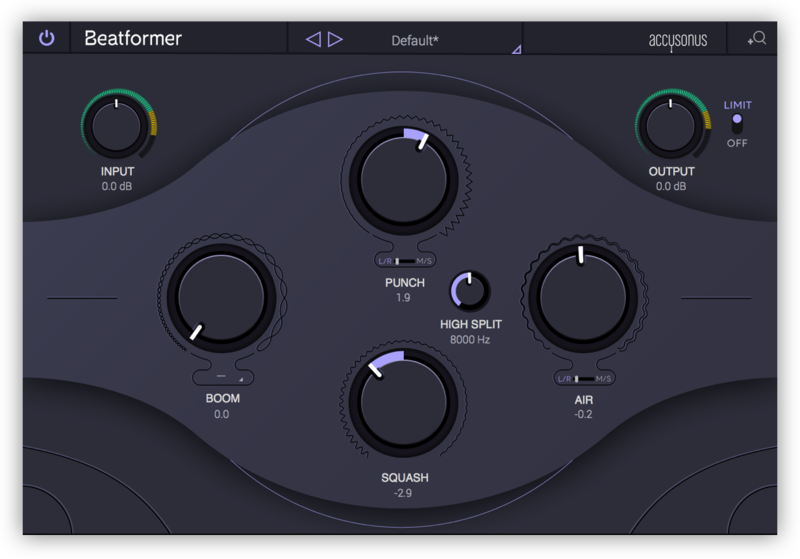 Beatformer is accusonus’ audio plugin that elevates the musicality of your beats with just four controls: Boom, Punch, Squash, and Air. 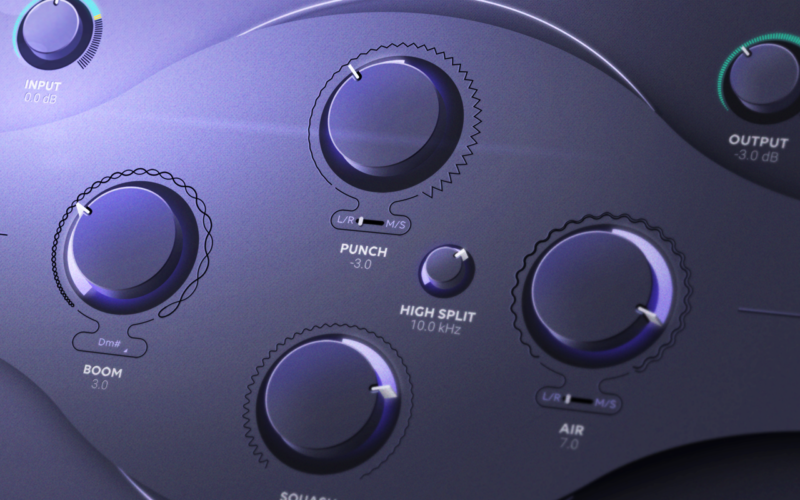 The minimalistic interface of Beatformer makes working with the plugin an intuitive and effortless experience. In this feature guide, let’s explore how each of the four parameters can be used to shape your sound. Boom adds character to the low end of an input signal by dynamically supplementing it with additional harmonic content. The drop-down menu below the knob sets Boom apart from low shelf EQs or band-specific saturators, allowing you to blend the harmonics with tone generation. When used subtly, this can help glue your drums together with the melodic components in your track. When dialed up, it creates an 808-style pitched effect out of sounds such as kicks, subs, toms, etc. Punch manipulates the transient information of the input signal. It’s a bipolar control, which means that it can be used to both increase and attenuate punchiness. Raising Punch will enhance the attack and tightness of louder sounds such as kicks and snares, whereas decreasing it will flatten out transient components. Squash is essentially a one-knob compressor / expander, allowing you to manipulate the input’s dynamic range. Turning the knob to the right will flatten the signal, whereas turning it to the left will increase the difference between loud and soft elements. Air can be used to excite or tame the high end of the signal. More than just a high shelf EQ, Air uses a combination of transient shaping and soft saturation to create enhancements that feel musical. The High-Split knob to the left of Air can be used to customize the crossover frequency between Air and Punch / Squash. …And that’s all there is to it! The only controls we didn’t cover are Input, Output, and the Limiter switch, but all of these are pretty self-explanatory. Contrary to many plugins that are hitting the shelves today, Beatformer isn’t about having a one hundred-page manual or dozens upon dozens of parameters to meticulously fine-tune. Rather, it packages a few key parameters into an experience that lets you process sounds musically, intuitively, and effectively. If you have any questions about Beatformer, leave them in the comments below.